If looks, style and quality are important to you, then this is the photo booth for your special event. Planet Booths provide deluxe photo booth hire Birmingham, photo booth hire West Midlands and the surrounding counties. Our high quality photo booths are a great way to upgrade the fun at your event, be it your wedding, party or corporate event. 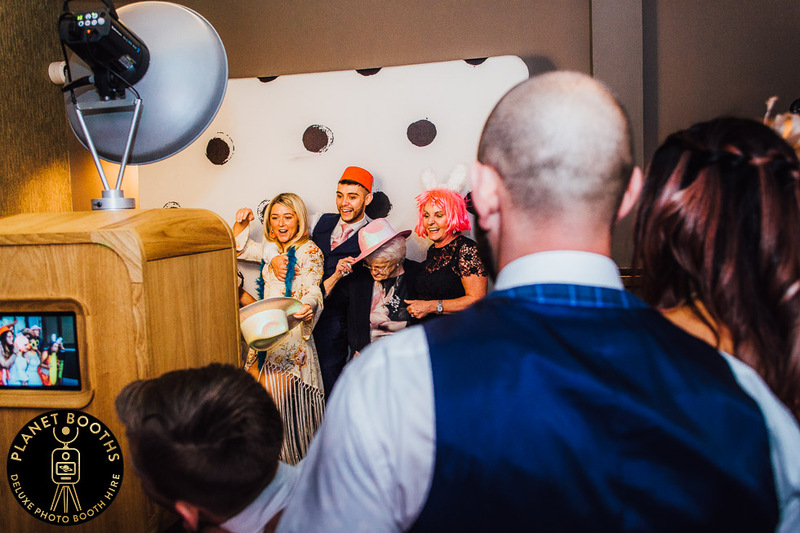 We can provide you with a fabulous luxury photo booth experience which your guests won’t forget, anywhere in Birmingham, the West Midlands, Worcestershire, Warwickshire, Staffordshire and beyond! Our stunning photo booth has been crafted from fine oak. It’s beautiful detailing and retro styling turn every head in the room. People gravitate towards it. The latest technology and fantastic studio lighting create movie-star photographs every time. The lab quality printer produces fab prints in seconds, a keepsake for each of your guests. 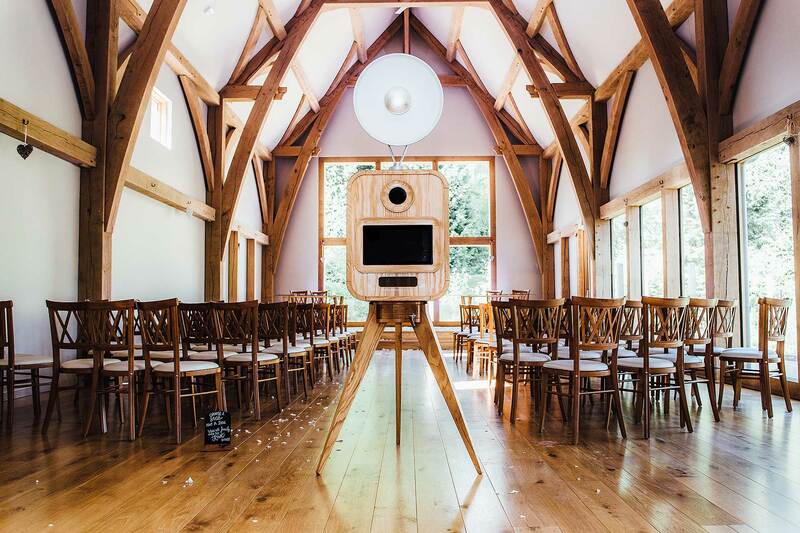 The above photo shows our photo booth in the lovely setting of The Wood Norton near Evesham, one of the many venues where we provide luxury photo booth hire West Midlands. The Planet Booths photo booth truly is beauty, form and function rolled into one. And it’s a huge hit at every event. If you’re looking for luxury photo booth hire Birmingham, you’ve found it. When it comes to weddings, we are evangelists of the wedding reception holy trinity. Bar, band, and a bloody good photo booth. Yes, you need a bar, and even better an open bar! And yes you also need and band or DJ for the music. But things are always done in threes. Weddings are our most popular event, and it’s easy to see why. Our photo booth perfectly completes your evening entertainment and provides an alternative source of entertainment from the dance floor. When you’ve put so much thought and effort in picking a lovely wedding venue and beautifully decorating it, then it makes sense to choose a high quality and stylish photo booth to match. The open design of our photo booth means that everyone stands around to watch the fun, whilst they wait for their turn. Our amazing quality photo booth provides a great alternative source of wedding pictures from the evening reception, regardless of whether your official Wedding Photographer is still shooting, or has finished for the day. And the lab quality printer allows everyone to take away a super souvenir photograph to remember your special day by. So if you are looking for luxury photo booth hire West Midlands that will look as good as your venue, then get in touch, we would love to hear from you. Check out the three pictures below, taken at Hampton Manor in Solihull. FIND OUT MORE ABOUT OUR WEDDING PHOTO BOOTH HIRE! 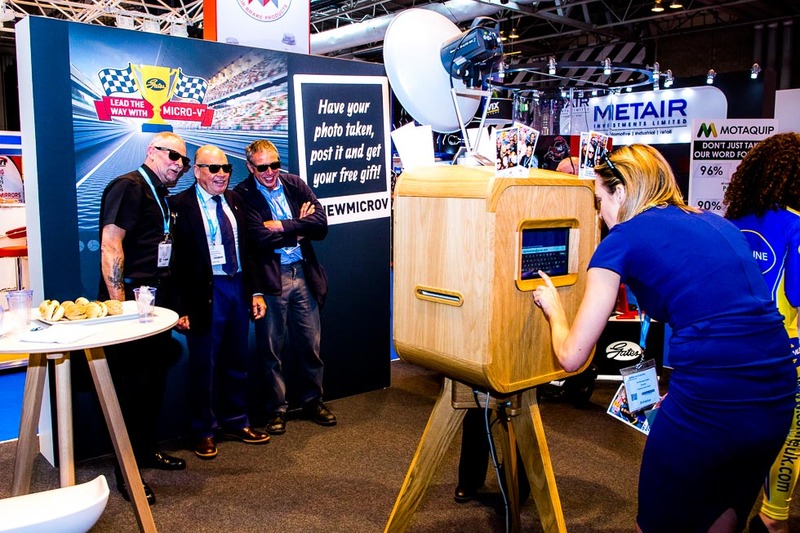 Planet Booths deluxe photo booths are the perfect client engagement tool for conferences, product activations, exhibitions, awards ceremonies and any other social corporate event. Our stylish and high quality photo booth hire West Midlands provides great entertainment for your guests. An opportunity for your team to have some fun, and take away a great photo souvenir as a keepsake. But the Planet Booths photo booth goes beyond entertainment. Use it to capture feedback from your event, take the registration photographs for delegate lanyards, or use the prints as flyers by brandings the prints with your campaign, product or hashtag. 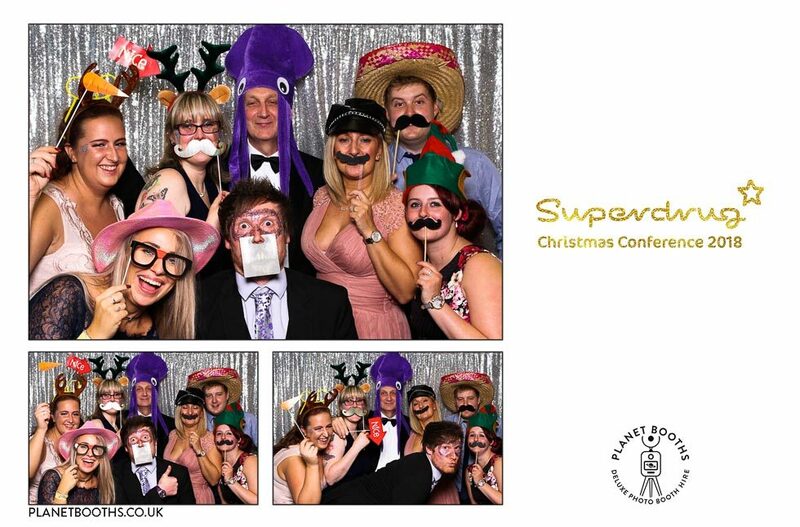 FIND OUT MORE ABOUT OUR CORPORATE PHOTO BOOTH HIRE! You don’t need to be getting married or be having a corporate event to join in the fun. We regularly attend birthdays and celebrations of all sorts. From 1st Birthdays to 70th parties. 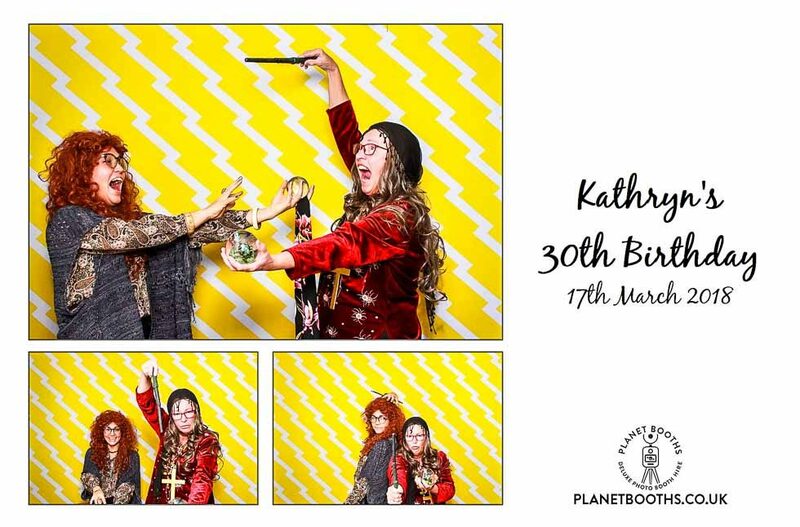 Planet Booths deluxe photo booth hire turns your great party into an amazing one. Everyone will be picking a prop, striking a pose and taking away a fab photograph memento from your special event. Even better, make it a fancy dress event at capture everyones outfits at the photo booth! Offer a prize for the best outfit or best picture! 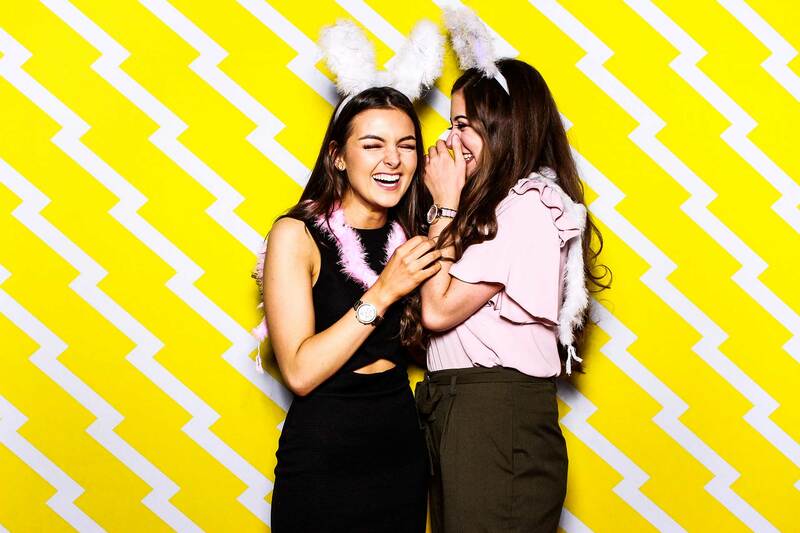 So if you’re thinking about hiring a stylish photo booth hire Birmingham or West Midlands, then why not get in touch and tell us about your special event. FIND OUT MORE ABOUT OUR PARTY PHOTO BOOTH HIRE!